Lovely pastel painted on Wallis sanded professional grade archival paper. 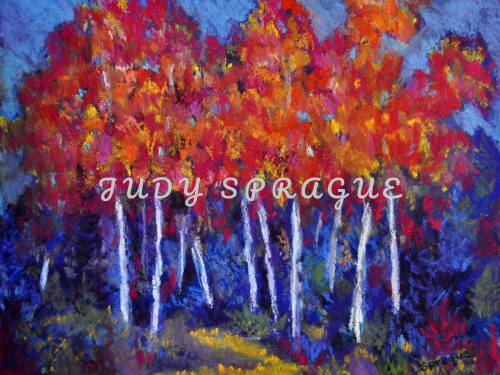 Colorful, impressionistic, pastel painting of aspen, created on sanded Wallis professional grade archival paper, and beautifully double matted and framed to 15x18. 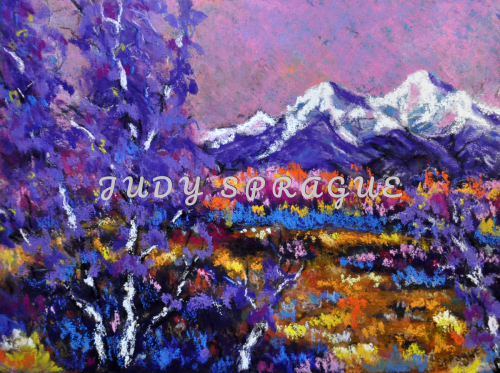 This painting is available at MOUNTAIN SPIRITS GALLERY, Salida, Colorado. Beautiful sunset in Colorado. 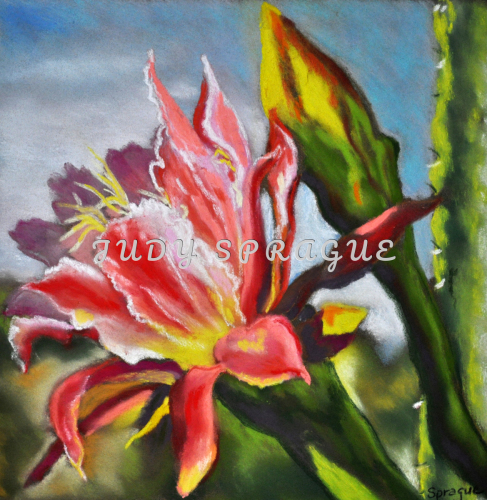 This original pastel has been created on sanded Wallis paper and custom framed with museum glass. 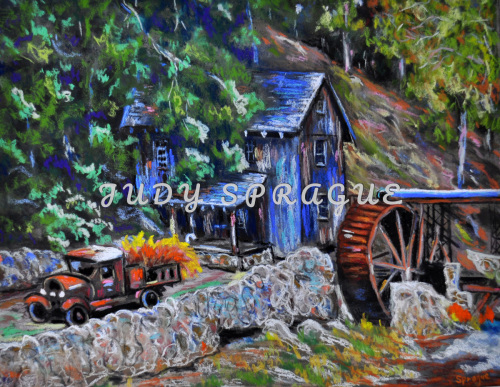 Beautiful barns in the historical mining town of Crested Butte, CO. 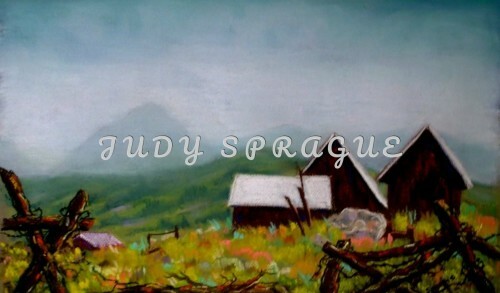 This painting has been custom framed to 20x28. Beautifully rendered award winning pastel painting, custom matted and framed. Location: Lake Fork of the Gunnison near Blue Mesa Reservoir, Colorado. 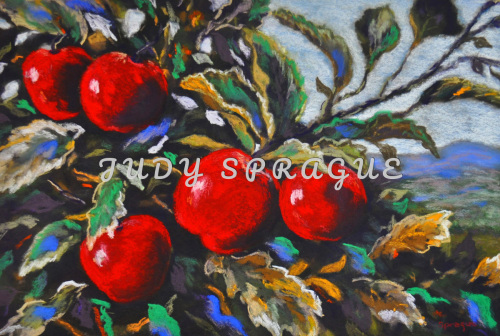 Image measures 17x22 and beautifully framed to 22x28. 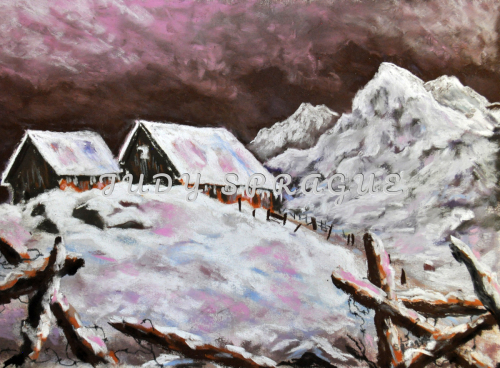 My idea for this painting comes from old barns, snow, and the mountain "Crested Butte" in beautiful Crested Butte, Colorado. My painting has been created on sanded Wallis pastel paper and is custom framed with museum glass. 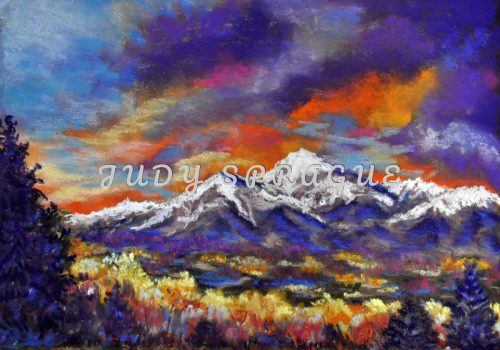 Beautiful sunset over Sawatch Range in Central Colorado. 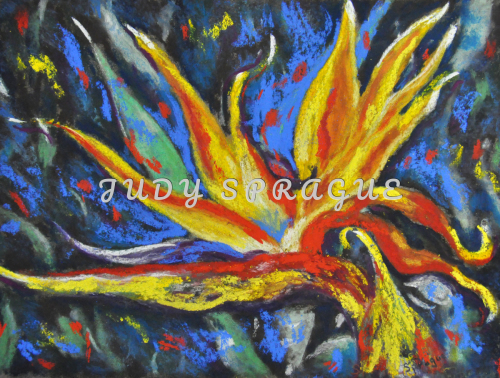 Original pastel created on sanded Wallis paper and custom framed with museum glass. This lovely old mill and water wheel lie just outside the town of Canton, Georgia. The original image is 15.5x19.5 created on sanded Wallis pastel paper and custom framed with fillet completing the beautiful presentation. 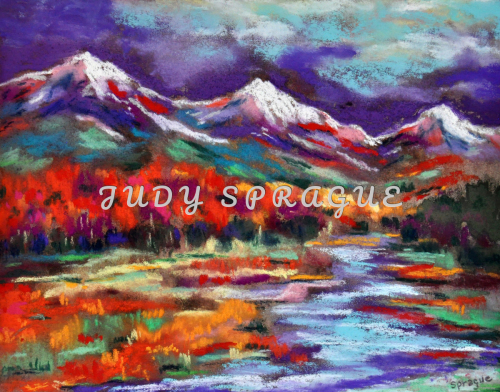 Bold, colorful impressions of Colorado's streams, forests, mountains, and skies. This original pastel, measuring 8x10, has been created on sanded Wallis pastel archival paper and framed with museum glass. Outside measurements of frame are 11x14. I discovered this beautiful cactus flower, which blooms only at night, in Tucson, Arizona. This original pastel painting has been created on sanded Wallis pastel paper, measures 11x11, and is custom framed to 19x19. 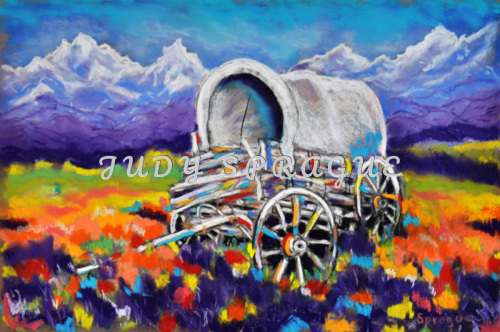 Boldly colorful impressionistic original painting measures 11x17 and is custom framed to 19x25. Beautiful lake in southwestern Colorado in the San Juan Mountains. 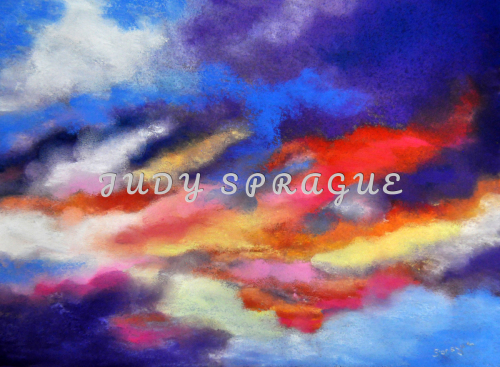 This original pastel image is 9x13 and has been custom matted and framed to 15x19. 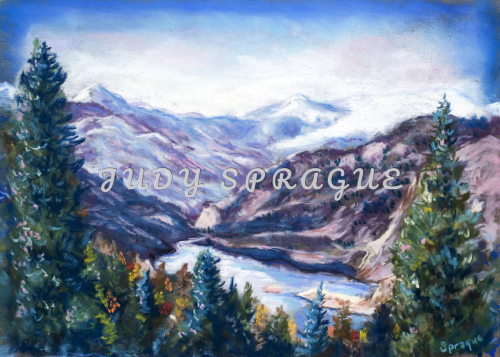 This original pastel painting, created on sanded Wallis pastel paper, measures 12x18, and is custom matted and framed with museum glass to 17x23. PLEINE AIRE PAINTING BEAUTIFULLY CUSTOM FRAMED. Painting measures 12x12 and custom framing brings the total size to 20x20. 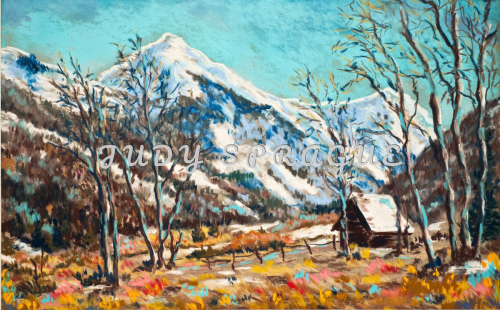 My latest pastel, created in 2019, looks toward Mt Shavano in the Wasatch Range of Colorado. 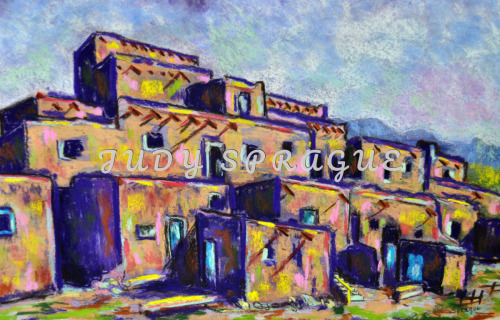 This image measures 9x12 and is beautifully matted and framed to 16x18.5. 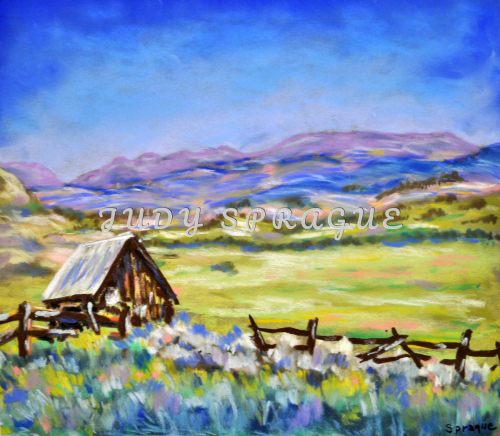 The subject of this original pastel painting is the old Capitol City Post Office, located deep in the San Juan Mountains of Colorado. Image measures 11x17 and custom framing brings the piece to 19x23. Beautiful Colorado skies! 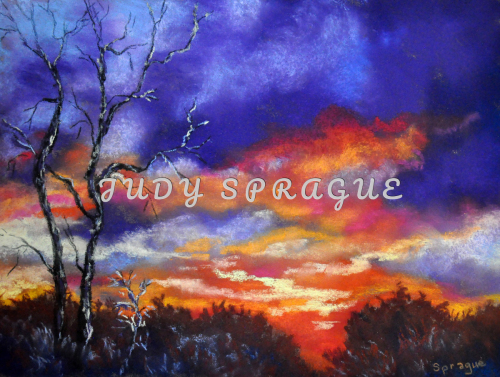 This original pastel painting, measuring 9x12, is framed to 15x18. 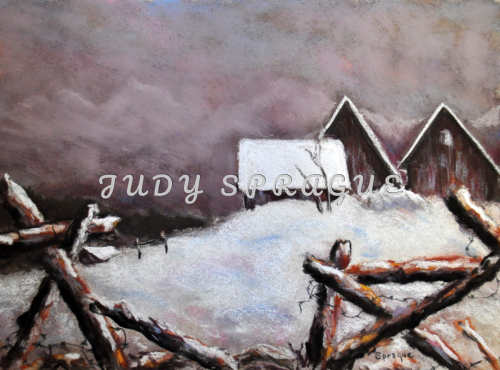 My idea for this painting comes from old barns at night in Crested Butte, Colorado. This original pastel painting has been created on sanded Wallis paper and custom framed with museum glass. 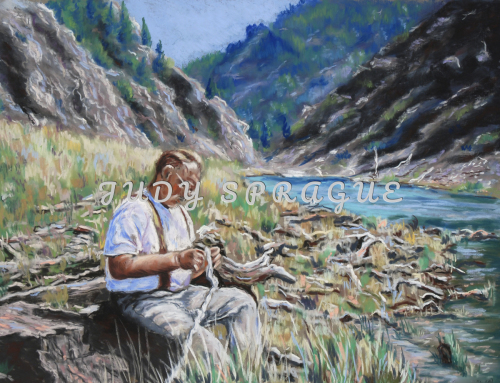 This original painting, created on sanded Wallis professional grade archival pastel paper, measures 11x17, and is custom framed to 18x24. 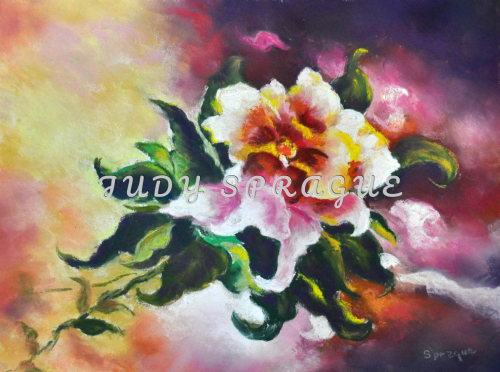 Colorful, impressionistic pastel painting of tropical floral, created on Wallis sanded archival paper.